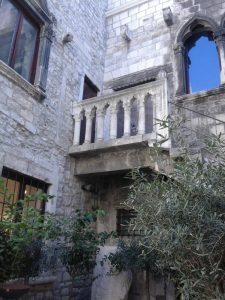 I would like to share my experience of visiting City Museum of Split. I was there yesterday and first of all I have to say that its location is unique – this is actually a palace inside of a palace. 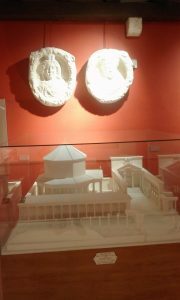 Museum itself is located inside Papalic Palace (that palace is inside the walls of Diocletian’s Palace). It is a beautiful venue, because this Palace was built in the 15th century in Renaissance style. Museum itself is fine, the most important exhibit is on the ground floor – that exhibit is mensa (great roman marble dish) that was found in the substructures of Diocletian’s Palace. Most probably it was used by the emperor himself. The rest of the museum is on three floors, exhibiting the history of Split from the antiquity to the 20th century. 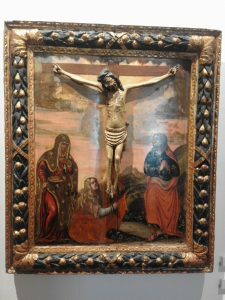 I think that this museum is well worth seeing, if you are in Split, don’t miss the opportunity! I wouldn’t!